The benefits of living unplugged. A new trend among the millennial generation is a desire to “live of the grid.” What that phrase means is open to interpretation, but it generally means being able to disconnect from a power company’s electrical service and generate your own electricity. Other elements of living off the grid include an independent water supply, food sources, and a comfortable and safe home-shelter. Often, the lure towards this style of living is that its’ much cheaper to live this way than in a traditional setting. For homesteaders in the wilds of Alaska, this may be true. For those desiring to go off the grid in the lower 48 states, the living costs can be as much or even higher. First there is the cost of buying remote land and with water. That can easily be $100,000 or more. 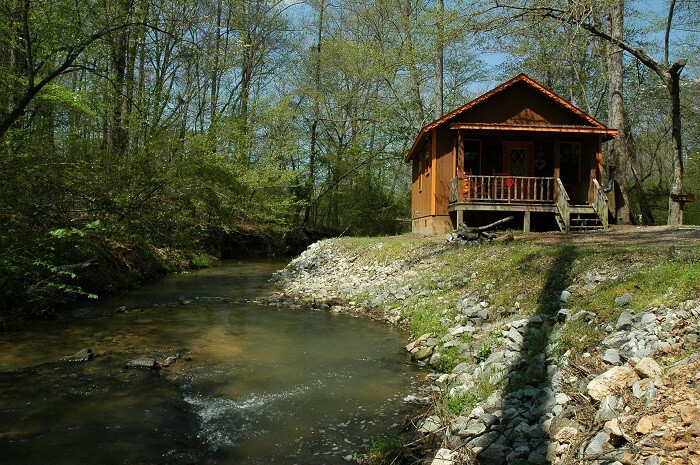 A simple cabin-style house will cost a minimum of $50,000. The next expense if going to be the cost of solar panels or a wind turbine to generate electricity. The installed cost of solar panels is around $9 per watt. That translates to about $30,000 for a 5 kW system. According to the American Wind Energy Association, the cost of a home 5 KW wind turbine is about the same as solar, $30,000. Add the cost of digging a well and installing a sewage disposal system of some type and you have a total cost of over $200,000. That’s if you start from scratch, however. For those who already have the property, a home and a well, the cost of living off the grid amounts to mainly the cost supplying your own electricity. Three factors determine how long it take for the system to pay for itself: the cost of the system, the cost of electricity from power companies and the availability of rebates, tax credits and other monetary incentives. The bottom line is the average time is tales to pay off a 5-kW solar installation can range from 4 to 20 years. There are other, non-monetary benefits to going all the gird however. Harnessing energy from the sun or wind to heat and cool your home, provide the electricity needed to run that home and your reduction on the dependency for fossil fuel are wonderful environmental goals that benefit everyone in the long run. 1. More time to enjoy life, family and things you want to do. 2. Closer relationships. The saying that no one on the last day of their life says that they wished they had spent more time at the office instead of with family and friends. 3. Less stress. Life today is stressful. Nearly 80–90 percent of doctor’s visits are based upon complaints related to overwork and stress. 4. More creativity. One outcome of living off the grid is that we can see things better. This helps us to develop old talents or to discover a new ones. 5. Better appreciation of nature and beauty. When we simplify our lives, we are able to see the beauty that surrounds us more clearly.